Windows 10 is becoming the most popular Windows operating system on the market due to the free upgrade process, but switching to Windows 10 isn’t always easy. Users have reported an error with Media Creation Tool while moving Windows 10 ISO to USB flash drive, and today we’ll try to fix this error. 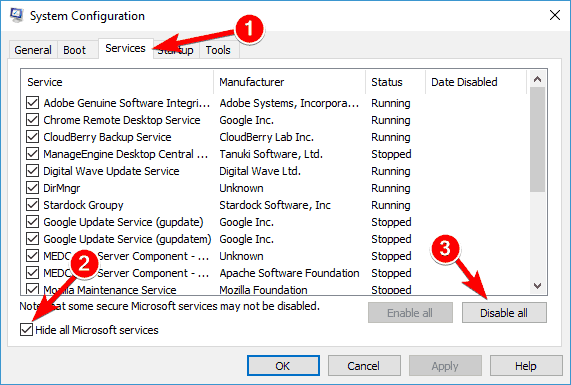 Windows installation Media Creation Tool access denied – If this error message appears, you might be able to solve it simply by running Media Creation Tool as an administrator. 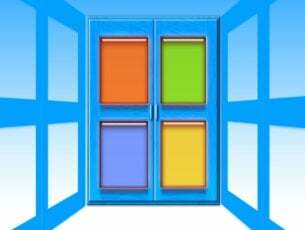 Windows Media Creation Tool USB access denied – This is another common problem with this tool. To solve this issue, be sure to check your antivirus. If that doesn’t help, try disabling your antivirus. Media Creation Tool not working, won’t run – Various issues can occur with Media Creation Tool, but you should be able to fix most of them by using one of our solutions. Media Creation Tool error USB – Errors with USB are relatively common, and if you’re having these issues, be sure to check if your USB drive is working in read-only mode. 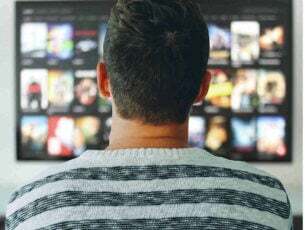 Media Creation Tool does not recognize USB – If Media Creation Tool won’t even recognize your drive, you might be able to fix this problem simply by formatting the USB drive. Media Creation Tool allows you to download and move your Windows 10 ISO file to a USB flash drive or DVD so you can easily install it, but sometimes when moving your ISO file to USB flash drive you can get Access denied error. This is an unusual error, but there are few workarounds that you can try out. System Configuration window will now appear. Go to the Services tab and check Hide all Microsoft services. Now click the Disable all button. List of startup applications will now appear. Right click the first item on the list and choose Disable from the menu. Now repeat this step for all startup applications. 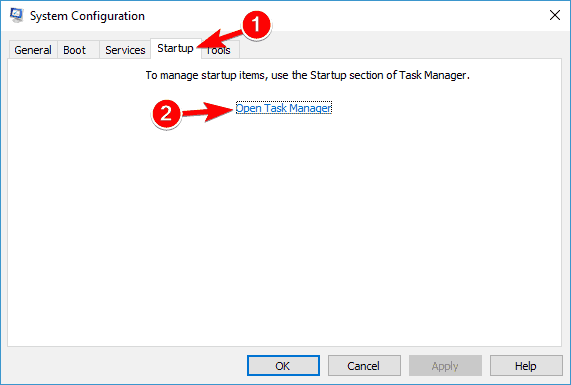 After you disable all startup applications, close Task Manager and go back to System Configuration window. Click on Apply and OK to save changes. When your PC restarts, try to create bootable media once again. If the problem doesn’t appear, it means that one of your startup applications was interfering with Media Creation Tool. If you’re getting Access Denied error message while using Media Creation Tool, it might be because your antivirus is blocking the access to your USB flash drive. Many antivirus tools will prevent you from accessing your flash drive in order to minimize the chance of malware infection. To fix this problem, it’s advised to check your antivirus settings and disable all policies related to removable storage. If that doesn’t help, you might want to try disabling or even uninstalling your antivirus. Many users reported issues with Avira Antivirus and Media Creation Tool, and if you’re using Avira, be sure to uninstall it from your PC. If you’re having problems with your antivirus and Media Creation Tool, you might want to consider switching to a different antivirus solution. Currently, the best antivirus tools on the market are Bitdefender and BullGuard so be sure to try one of those tools. 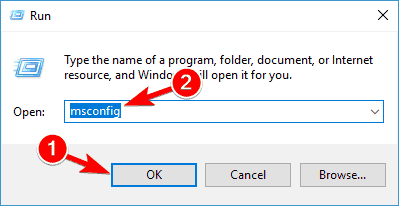 If you’re getting Access denied error while moving your Windows 10 ISO file to a USB flash drive you might consider trying a different flash drive to see if it works, because your flash drive might not be configured properly. If another flash drive is giving you trouble you might want to consider burning the ISO file to a DVD and installing Windows 10 from a DVD. Open This PC and locate your USB flash drive. Right-click it and choose Properties from the menu. 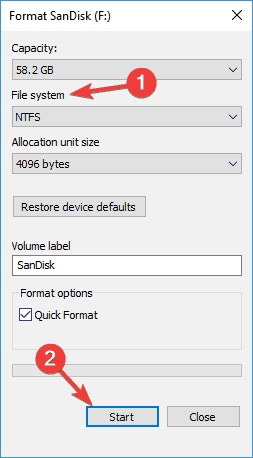 Select NTFS as the File system and click on Start. The format process will now start. Once your drive is formatted as NTFS, try to use Media Creation Tool to create a bootable drive. If you need to format your flash drive, you can also use third-party tools such as Mini Tool Partition Wizard or Paragon Partition Manager. Both of these tools allow you to format your USB flash drive, but they also offer other advanced features that you might need. 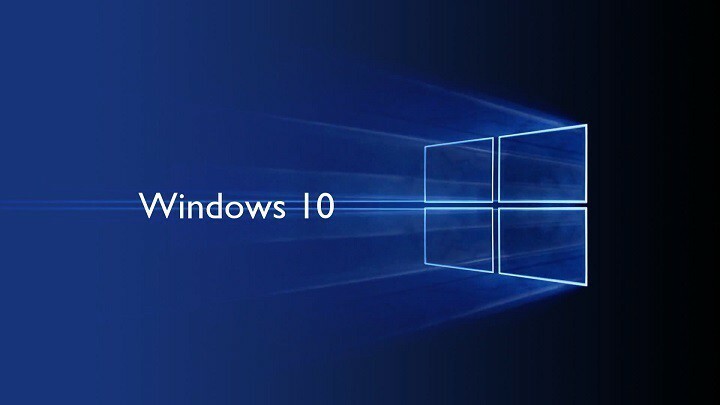 To do this, you will first have to download RUFUS from here, as well as official Windows 10 ISO. 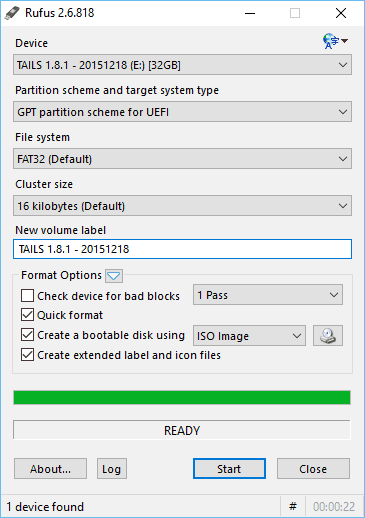 Set Partition scheme to GPT partition scheme for UEFI. Set File system to FAT32. Select your device from the Device menu on the top. Make sure that Create a bootable disk using is checked and that ISO image is selected. Click on the little DVD icon next to it and find your Windows 10 ISO. After that just click Start and wait until RUFUS creates a bootable Windows 10 USB flash drive. Certain drives might be ready-only and that can be a big problem if you’re trying to create a Windows 10 installation media. If your drive works in read-only mode, you’ll encounter Access Denied message when using Media Creation Tool. To fix this problem, you need to ensure that your drive isn’t working in read-only mode. The first thing that you should do is to check for Lock switch. Some flash drives have a lock switch that will activate the read-only mode and prevent you from writing files to your flash drive. If you have this switch, be sure that your drive is unlocked. Connect your flash drive to the PC. Open Command Prompt as administrator. 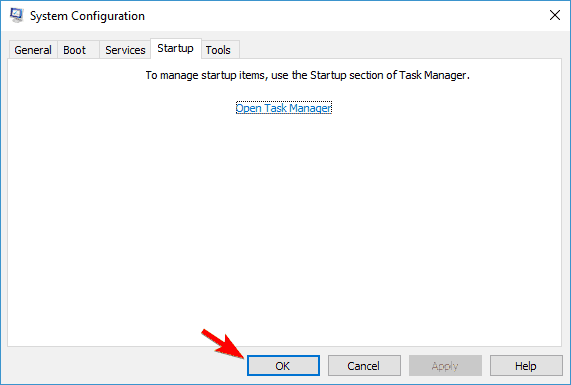 To do that quickly, simply press Windows Key + X and choose Command Prompt (Admin) from the menu. If Command Prompt isn’t available, use PowerShell (Admin) instead. When Command Prompt opens, enter diskpart and press Enter. Now enter list disk command to see all available drives on your PC. Now you should see all available drives on your PC. It’s crucial that you select the correct drive. You can easily recognize your drive by its size.To select the drive, you need to use select disk X command. Be sure to replace X with the number that represents your flash drive. In our case, that would be Disk 1, so our command will look like this: select disk 1. Keep in mind that the number on your PC will be different depending on the number of drives that you have on your computer. Now enter attributes disk command. You’ll see a list of attributes for your drive. Check if read-only features are enabled. To disable read-only features, just run attributes disk clear readonly command. After doing that, your USB flash drive won’t be in read-only mode and you should be able to create a bootable media without any problems. Sometimes you might get Access Denied error message while using Media Creation tool if your ISO file is corrupted. Your ISO file can become corrupted during the download especially if you have any problems with your Internet connection, antivirus or firewall. To check if your ISO file is working properly, users are recommending to open it with the 7Zip application and try to extract the contents of the file to your hard drive. If you don’t encounter any problems during file extraction, it means that your ISO isn’t corrupted. Several users also reported that they fixed the problem by using 7Zip to move the contents of the ISO file directly to the USB flash drive. It’s not confirmed that this method works, but you can try it out if you want. On the other hand, if your ISO file is damaged, you’ll have to download it again from Microsoft’s website. Now you’ll see a list of all hard drives. 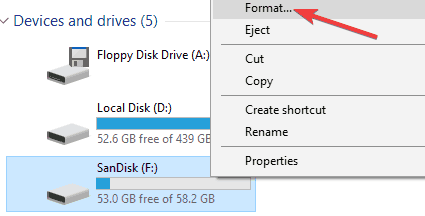 It’s crucial that you select the correct drive or else you might accidentally format your entire hard drive. Be extra cautious with this step, and double check to be sure that you selected the correct drive.Now enter select disk X. Replace X with the number of the drive that represents your flash drive. If you select the wrong drive, you’ll format your hard drive and lose all your files, so be extra cautious. After doing that, your drive should be formatted and ready to use, so try to create bootable media again. 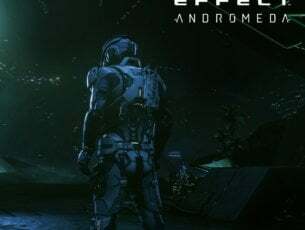 That’s about it, I hope this article helped you to deal with Media Creation Tool in Windows 10. If you have any comments, or questions, just leave them below.